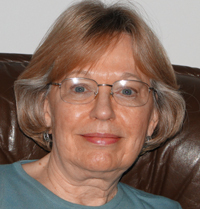 Cynthia Callsen, LCSW, DCSW, is a Focusing-Oriented Psychotherapist and Trainer since 2007. With the help of Larry Hurst and others, she developed New York Metro Focusing, a local organization for all focusers, a project that emerged from her training with Robert Lee. She is also a Bach Flower Registered Practitioner. She finds that Bach Flowers and Focusing work together synergistically to help release old stuck places. She is a psychotherapist in Manhattan for almost 40 years, during which time she also developed and was the director of New Hope Guild Associates and a founding partner and co-director of Downtown Consultation Associates, both group psychotherapy practices in the Financial District of New York City. Over the expanse of her career, founding and leading organizations has emerged as a quietly passionate subtext of her practice in psychotherapy. The following conversation is a window into New York Metro Focusing (NYMF). It would be wonderful to have similar conversations with other members of the Planning Group and the larger NYMF community so we could shine light on many more aspects and experiences of our unique community. NY Metro Focusing emerged from the need for a community to hold all focusers in the NY City metropolitan area, especially those whose training was drawing to a close and the intimacy of the small group together dissolving. The idea was that the organization itself would be like a Felt Sense – touching into its own knowing to grow and move forward as its process unfolded and the environment around it changed over time. Some basic structure was necessary in order for the group to survive into the future. Hence we have a Planning Group who are responsible for developing our meetings, keeping our website and Facebook page up to date, making arrangements for rental space and refreshments, handling communications, keeping notes, and handling the basic finances. An over-all coordinator makes certain all this is running smoothly. Another piece of the original formulation, not addressed in the conversation to follow, entailed the desire for Focusing to have some form of visibility to the larger New York community – to be on the map. Hence we now have our website and our Facebook page as a centering, anchoring place for both our Focusing community and for non-focusers who are looking to explore Focusing. NYMF meetings (we meet 5 times each year) often serve as a first encounter for newcomers, and we try to help direct these newcomers to trainings and Changes groups to further their involvement and development. The exciting part is the evolution of our meeting process over time. We in the Planning Group are always looking at how to develop our sense of community. We become the sensing organ for the community to keep our process alive and moving forward. Originally we featured focusers who brought their areas of focusing interest and expertise and created experiential presentations for us. A major shift in our meeting process occurred in 2011 when Joan Lavender guided us into new territory of the focusing conversation. We had an explosion of excitement, and we are still exploring and trying to understand how to have focusing conversations in our group that are satisfying to all. In the conversation that follows we touch on the development that brings us to this place and the challenges we face with a bit of a look into the future.